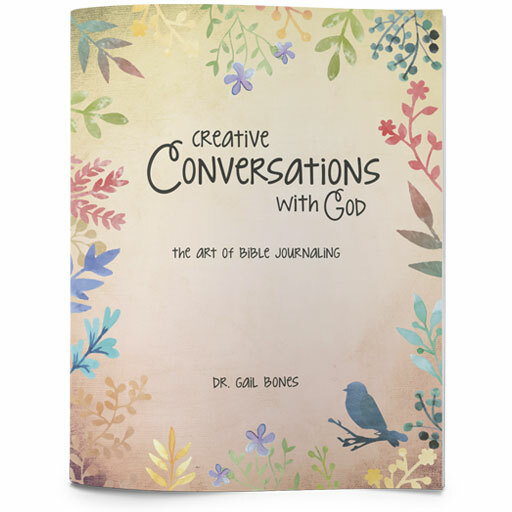 Creative Conversations with God: The Art of Bible Journaling workbook will equip you with a variety of simple visual techniques to enhance your quiet time. You will grow in your knowledge, understanding, and enjoyment of the Bible as you use these fun, creative activities to slow down and enjoy your relationship with God. Schedule a workshop or purchase the workbook here. Learn a variety of simple visual techniques to help you to be still—to slow down and focus on enjoying your relationship with God. Grow in your knowledge of God as you discover interactive learning methods for Scriptural reflection and meditation. Find inspiration from Mary of Bethany for a Biblical pattern of wisdom, prayer, and worship.